This really should have been last weeks My Creative Space, but it was all secret squirrel here in the land of the raspberry rainbow. My best friend Nell celebrated her birthday earlier in the week. We dont buy presents for each other anymore, but I wanted to make her some thing. She had mentioned months ago that she did not have an apron, so immediately I was on the look out for the right fabric for her and the right apron. I really wanted to make up my own apron pattern, but that requires time and brain capacity for thinking, both of which I do not have much of at the moment. When I found online the Sew Liberated Emmeline Apron pattern, I knew this was the one, this was so Nell. I found the blue and red fabric months ago and as soon as I saw it, I knew it was Nell. 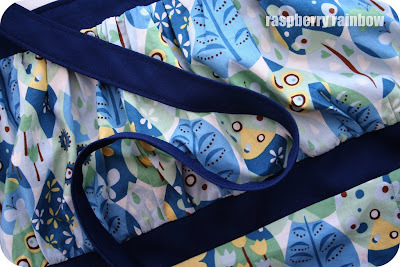 Then I forgot the pattern needed another fabric - as the apron is reversible. I found the blue trees fabric in my stash. 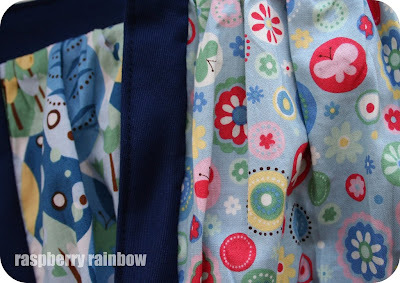 As it turned out, both fabrics were from the same Keiki for Moda Collection, called Tweet Tweet. A little freaky. 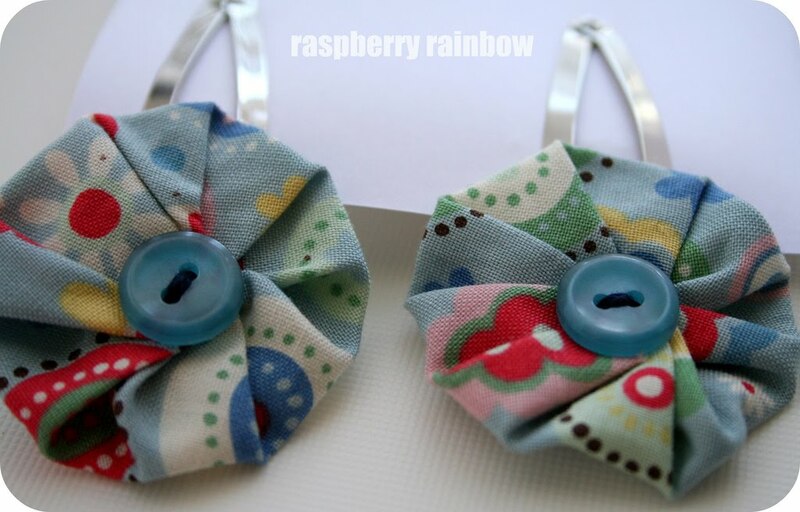 I had to make her some hair clips to match too. Nell will be so well dressed in the kitchen now! Happy Birthday again, hon! You really are the best, best friend, I am so lucky to have you in my life. I am going to miss you so much when we are off on our adventure. Pop in and visit many more creative peeps over at Kootoyou. Love the fabrics! Great choice. You're a great friend, these are gorgeous gifts and hair clips to match is a lovely touch. Great job! Beautiful fabric choice and a lovely present for a friend.